The OPT Factory Simulation Kit contains 2 types of dice, 50 white and 50 black poker chips "wet" the line and 100 poker chips of another color to run through the process. A chip holder helps supports the "finished goods" step. A large digit solar calculator helps with metrics. 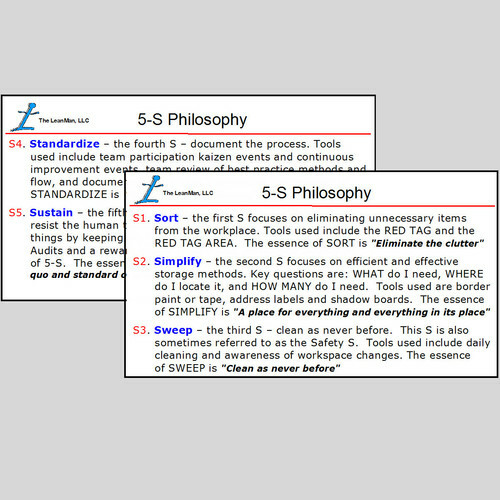 A printed and bound facilitator guide provides concise instructions for the trainer, and Power Point slides for the participants to discuss the concepts. It is all packaged in a durable container with a Polycarbonate cover that latches securely to hold the materials for travel. The OPT Factory Simulation Dice Game explores the variables that influence production outcomes. A great introduction tool for new production supervisors, managers, and product planners, or anyone working in a production environment. This 8- hour course is also an excellent teaching tool for industrial training course work. There are 14 scenarios presented in either 2 four hour Half Day events, or 1 eight hour Full Day event. The game can be played with 8 to 12 participants. Three additional participants can be added with the extra chips and dice included. The game consists of two types of dice, each representing yield variables; 50 white chips to “wet” the line; 50 black poker chips, and 100 poker chips of a different color to act as product and to indicate lead time. Laminated cards for operation number are included along with wet erase markers to write the participants name. 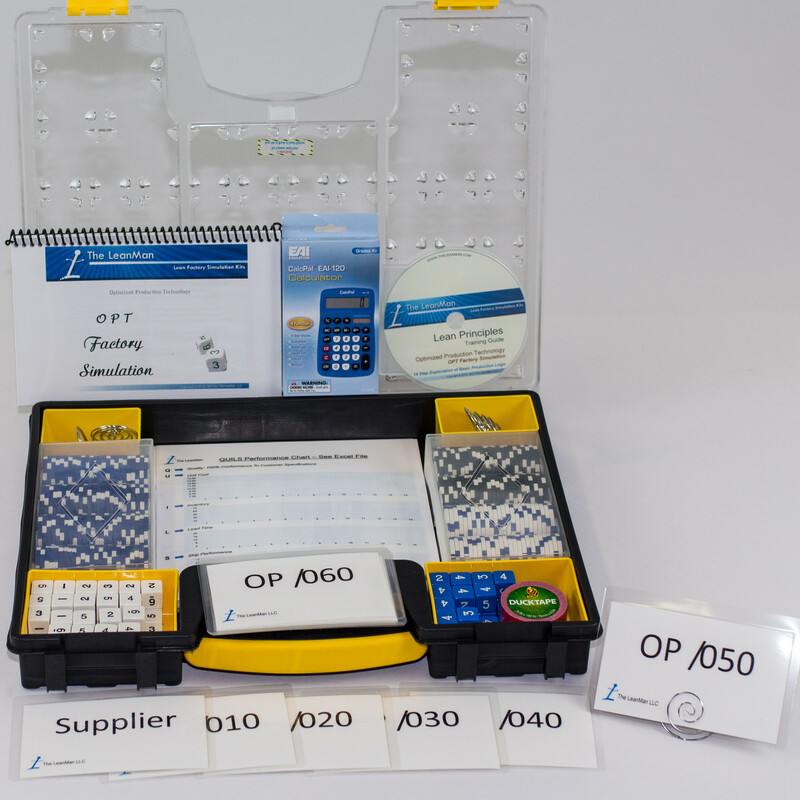 Duck Tape is provided to attach the laminated card holders to the table edge so other participants can see where each operation is being performed. A large digit calculator is provided for metrics. 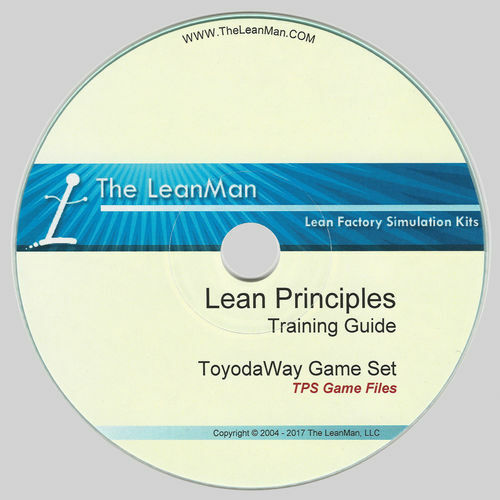 The game contains several files for set up, for QUILS metrics recording, and a 108 slide Power Point presentation for the participants to follow along with the facilitator as the game progresses. A printed and bound facilitator guide that provides detailed instructions for sequencing and facilitating the games, plus several discussion point questions to ask the participants for each of the 14 steps. 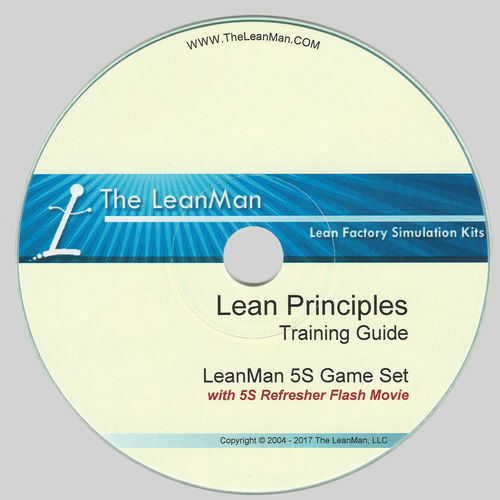 Also included is a "Train-the-Trainer" Excel file to simulate each of the games to provide an easy way to learn how to move product, keep score, and to teach the trainer the concepts of each of the 14 game steps. An excel file is used for automatically calculating the metrics using the QUILS concept. Quils stands for Quality, Unit cost, Inventory, Leadtime and Ship performance. 1. How reducing the TRANSFER BATCH SIZE and / or moving material DURING THE SHIFT can improve THROUGHPUT. 2. How selective OVERTIME can be used to control the impact of SHORTAGES by keeping the parts moving. 3. Why understanding and managing our equipment better, reduces PROCESS VARIATION. 4. Why INVENTORY CONTROL is needed to expose the real problems and help us identify areas to improve. 5. How LEAD TIME measures responsiveness to customer needs. 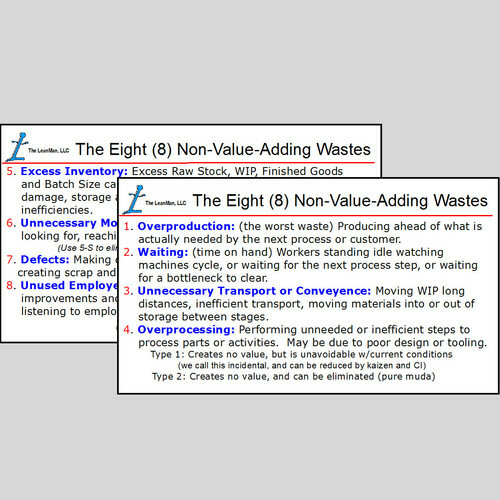 Reduced INVENTORY & PROCESS VARIATION assist in minimizing production lead time. 6. Why the need for world class levels of QUALITY, MACHINE MAINTENANCE, PRODUCT DESIGN, QUICK SETUP and proper PROCESS LAYOUT is essential in today’s production environment. Teach new Lead Operators, Supervisors, Managers and other manufacturing support people the basics of production material flow.